Even when he’s on holiday, our Haarwegskloof Renosterveld Reserve Manager, Jannie Groenewald and his camera are never off-duty. Here are some of the awesome critters and other wildlife he’s been tracking down during the past few weeks (in his leisure time). 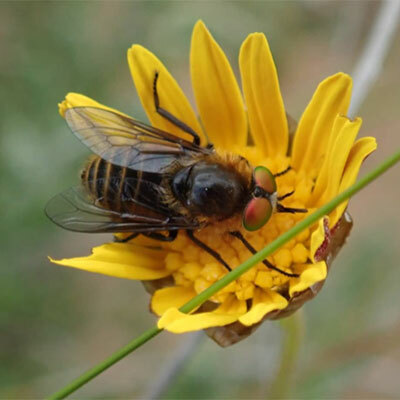 A Tabanidae fly pollinates a yellow daisy in the Overberg Renosterveld. Flies and other non-honeybee insects are the pollinators of many Renosterveld plants. Honeybees compete with these pollinators and may prevent rare plants from setting seeds. The Saw-Backed Locust (Hoplolopha sp.) 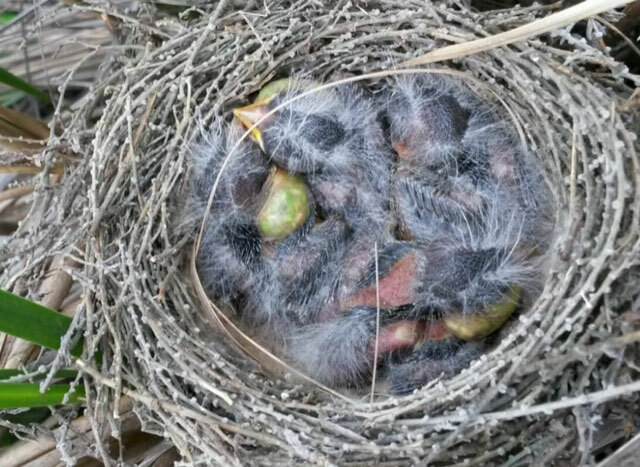 is a rare find in the Renosterveld – probably because they are difficult to spot. 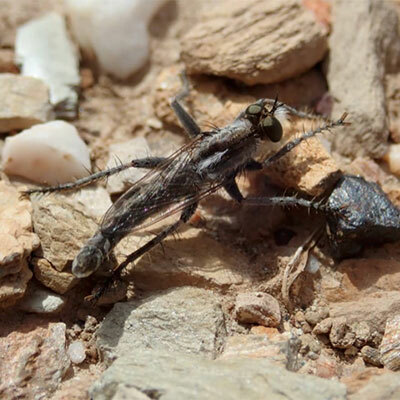 Robber Flies (Asilidae) are predatory flies that can commonly be found in the Renosterveld of the Overberg. They hunt other flies and insects. 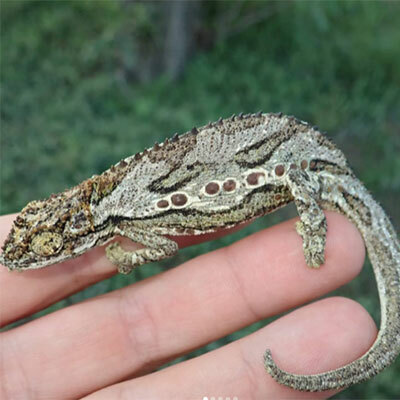 A beautiful Dwarf Chameleon (Bradypodion gutturale) on our Reserve. Cordylus cordylus (Cape girdled lizard) is a common lizard that can be found in Renosterveld. 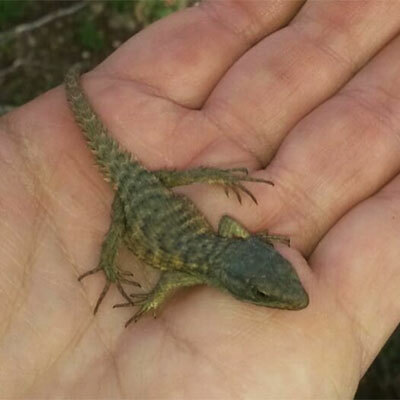 This young one was found on Haarwegskloof Renosterveld Reserve. 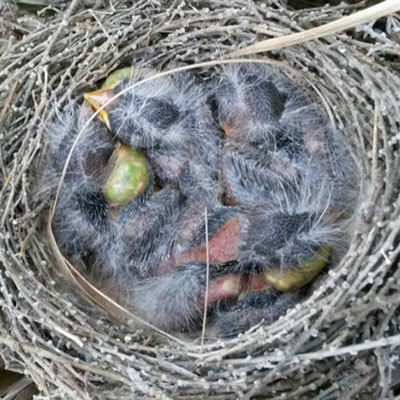 Now see some of these special species for yourself on Haarwegskloof. Even as many of the Renosterveld plants hide from the summer sun, that doesn’t mean our Renosterveld is devoid of life. In fact, you’ll now experience a disco of insect life here. 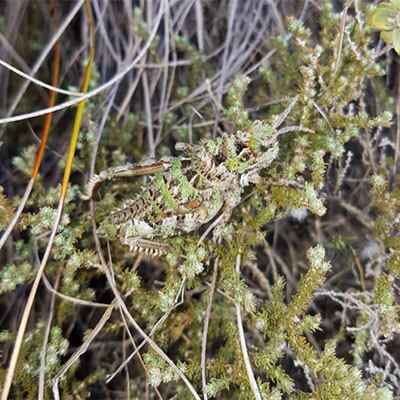 Jannie can lead you on a guided tour on our Renosterveld Reserve, to view some of these little critters (things you may miss yourself).